When clients walk through my door, their lives are often in shambles – the marriage has completely broken down, abuse may have torn the family apart, or they’re worried about being financially secure on their own. Putting the pieces back together and starting over are never easy, and my clients can’t do it alone. I know I’ve made a real difference when I empower them to brush away the overwhelming negativity that surrounds a family dispute, start healing for the children’s sake and take control of their lives financially. Clients throughout the Gulf Coast area rely on Amy Allen to resolve complex, emotionally-charged family disputes, particularly when difficult property issues are involved or they need a compassionate advocate to protect the children caught in the middle. She handles the entire range of issues and disputes that clients may face, including divorce, child custody, modifications, enforcement actions, marital property valuation and characterization, premarital agreements, adoptions and other child-related issues. 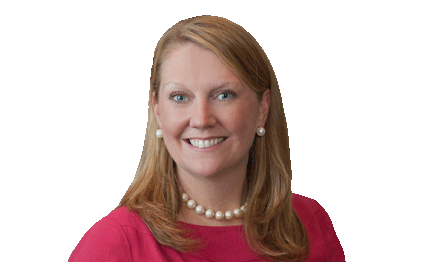 Amy is Board Certified in Family Law by the Texas Board of Legal Specialization. Amy has substantial experience in handling the most challenging property characterization, valuation and division issues. She has represented numerous high-net-worth individuals, professional athletes and their spouses, both in divorce proceedings and premarital agreement negotiations involving large estates, complex assets and a wide range of valuable business interests. Before joining the firm, Amy worked with various public and private organizations – in conjunction with the Harris County Family Court judges, court personnel and volunteers – assisting families and children involved in difficult divorces and related proceedings. She learned first-hand how children are impacted by chaotic family disputes and the importance of resolving the core conflict between parents to ensure the long-term welfare of the children. The outcome of a family dispute has long-lasting consequences, so Amy insists that clients have a strong voice and are fully invested throughout the process. Before they get started, Amy takes extra time to build trust, learn about the problems at the heart of the dispute and help clients set realistic, practical goals. This approach allows Amy to explore multiple alternatives, give clients options and keep them focused on each step necessary to achieve the ideal result. Handled more than 50 premarital agreements, many with complex assets and large estates. Represented several professional athletes or spouses of professional athletes in divorce. Related issues included contracts with multiple teams, bonuses and future earnings. Served as Amicus attorney for four children involved in the Eldorado Compound sexual abuse case. Served as Amicus attorney, guardian ad litem, and attorney ad litem for children for more than 100 other children. Prosecuted protective orders both at the District Attorney’s office and in private practice. Prior to law school, supervised more than 1,000 hours of visitation interactions between children and a parent when the court says they can be alone with that parent.